When Should I …consider passive index funds? They can provide full exposure to a broad, diverse market. They benefit when prices are rising across all sectors, as they tend to do early in bull markets. They can have some tax advantages over active funds. Expense matters. For the low-cost market participation they provide, passive funds play a key role in a balanced investment portfolio. One shortcoming is that an index does not control for risk. 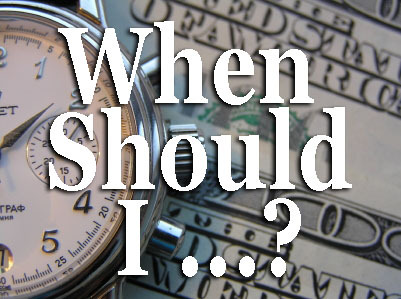 When Should I …consider actively managed funds? As our financial lives evolve, we often wonder at what point or how frequently to take certain actions toward our long-term goals. In an ongoing feature, investment advisors from Landaas & Company provide answers. Click here to see other responses.